ANNAPOLIS, Md. (AP) — Avast, ye mateys, and you shall hear the tale of seagoing animals, true and clear: From pirates’ parrots to canine and feline military mascots, the Museum of Maritime Pets would have it all. The museum is the pet project of Pat Sullivan, an Annapolis resident who runs a pet-sitting service. For the past several years, she’s been gathering books, photographs and paintings commemorating maritime pets and posting the information online. Her files go all the way back to Noah and the ancient civilizations of Egypt and Phoenicia. Now, with a five-member board of directors, numerous volunteers and official status as a nonprofit organization, Sullivan wants to take the museum from virtual to reality. She’s looking to raise rent money for a space in Eastport, with hopes of eventually securing a permanent locale. Ideally, she’d like to get about $100,000 — enough to secure the location for two years, as well as develop programs. Sullivan’s already poured about $15,000 of her own money into the project and raised some funds through the sale of books, stationery, games and toys through the website. She’s also held special events. Sullivan, 62, insists she’s not barking up the wrong tree. She spent 12 years as a museum director at a variety of historic homes, so she has experience in the field. Sullivan, who has two elderly Jack Russell terriers and two cats, began working with animals more than 20 years ago. Her ex-husband was a professional horseman, and together they operated an equestrian training facility near Ocean City from 1990 to 2000. “I’ve had nine lives, like most of my animals,” she said. Sullivan then went online to investigate the name and found several exhibits. “That’s where I got the lightbulb moment,” she said, and became determined to open an actual museum. Given the city’s boating ties, she thought it’d be a natural fit. Sullivan established the website in January 2006 and has organized several talks. 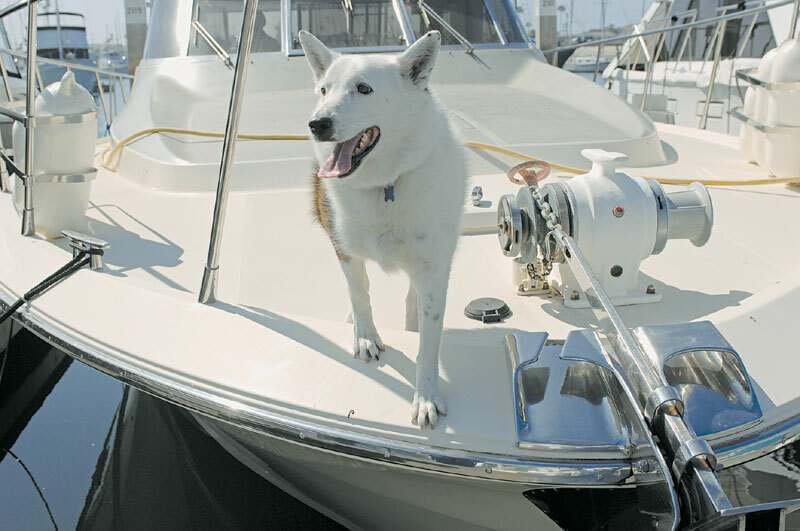 One was held last month on “sea cats and salty dogs,” and another is planned April 29 on animal law at the Annapolis Area Library. The recent lecture included information on Sinbad, a dog who served on the Coast Guard cutter Campbell during World War II and beyond. Sinbad’s story is a favorite of Maryland Court of Special Appeals Judge James Eyler, another of the museum’s board members. Sullivan also admires Sinbad, as well as Mrs. Chippy, a cat who traveled with Antarctic explorer Ernest Shackleton. Eyler, who like other board members is a pet-sitting client of Sullivan’s, said he liked the concept of the museum from the start.